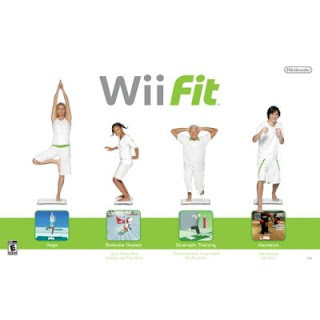 Bought the Wii Fit last week - today is day 8 with it. I love it! It's got four main components: aerobics, strength training, balance and yoga. The aerobics has things like step, hula hooping and boxing. Strength training includes push ups and other things. Balance has some wacky games where you tilt all over the place. Yoga is straight-forward and difficult. Haven't posted in ages due to all kinds of familial crisis, but gotta get back into the swing of things. As of this morning, I'm down 91 pounds total, and I've also caught up on my steps for the year! Might just be able to hit my goal weight by the end of the year.